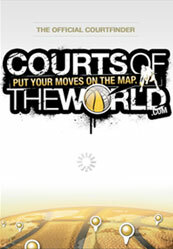 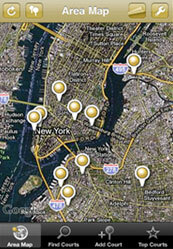 User can view world courts from application with Map view. 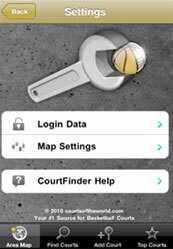 User can add new court to the application. 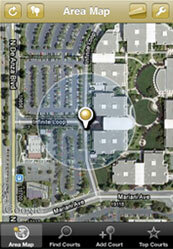 User can view court with GPS (Nearest court from user current location). 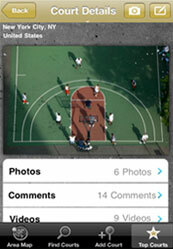 User can upload photo of court, rate and comment to existing court. 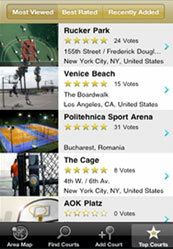 User view court in Map view.